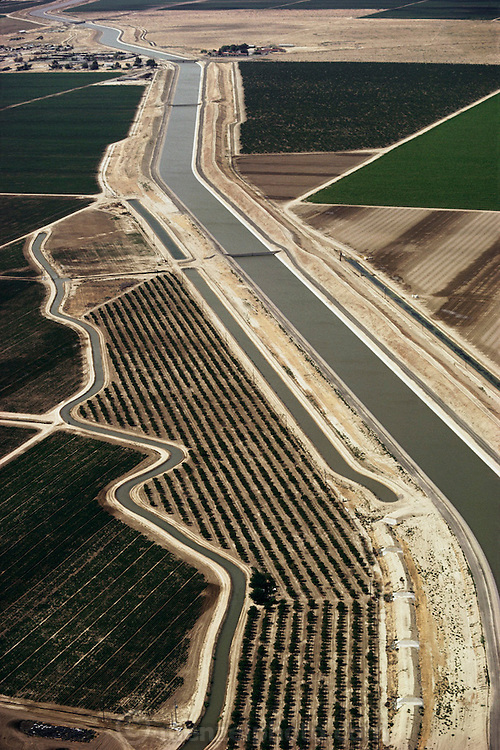 Aerial photograph of the California aqueduct, which carries water from north to south through the middle of the state. San Joaquin Valley. Agricultural land is seen on both sides of the aqueduct. Kern County, CaliforniaThe California State Water Project is the nation's largest state-built water and power development and conveyance system. Planned, designed, constructed and now operated and maintained by the California Department of Water Resources, this unique facility provides water supplies for 23 million Californians and 755,000 acres of irrigated farmland.